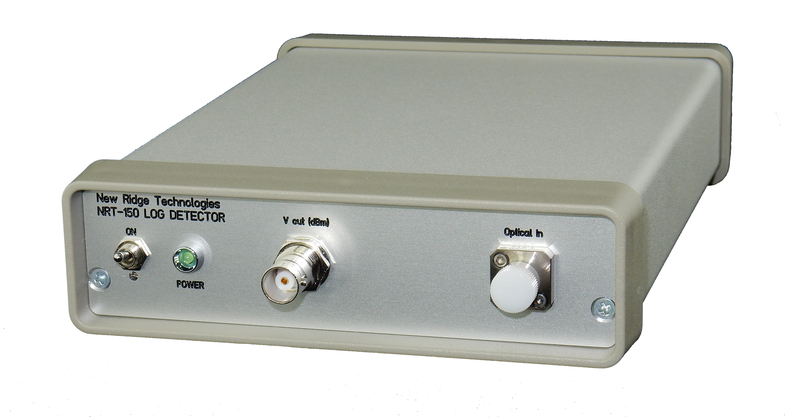 The NRT-150 Log Detector is a useful photodiode amplifier designed to measure low light levels, down to about - 60 dBm. We initially developed the NRT-150 to help customers using the NRT-2500 or NRT-250 for Tracker applications, specifically when trying to track to a minimum light level. This problem is challenging. On one hand the goal is to minimize the number of photons, yet you need photons to generate a reliable Tracker feedback signal. 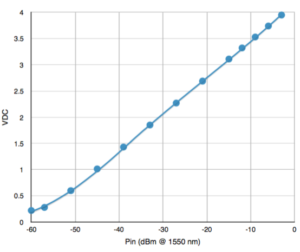 With a (normal) linear photodiode amplifier, the voltage gets too small to track as the minimization darkens the output. Using the NRT-150 log amplifier ‘compresses’ the high power voltage output and ‘expands’ the voltage output at lower optical power. 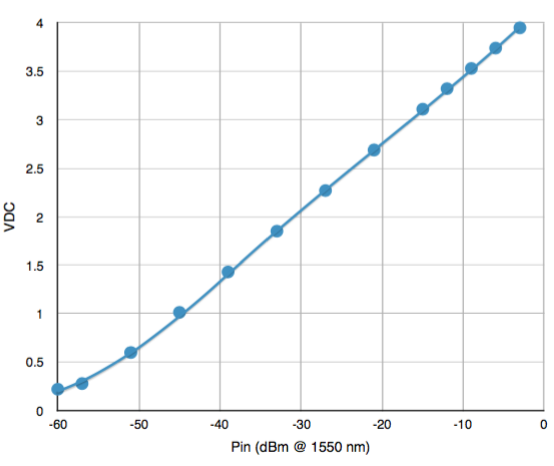 Below is an example of the log response through almost 6 decades of detected optical power.